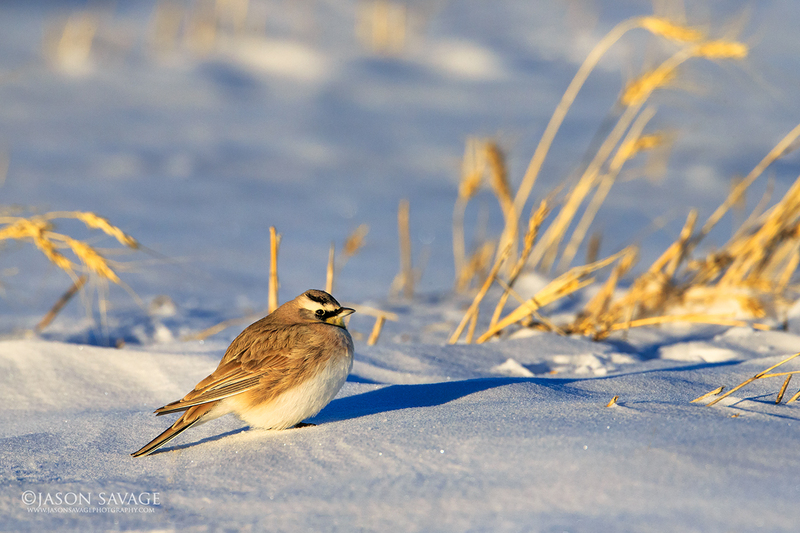 This shot is of a Horned Lark I took yesterday in central Montana. Photographing these little guys was a good lesson for me in continuing to be persistent. I was watching flocks in the hundreds hoping they would land close to me. Some did at times, but getting into position and making everything align was challenging. In addition it was -10 and my evening light was fading. After spending a good hour failing to get a shot I wanted, I resisted the temptation of moving on to salvage something with the last bit of the day’s light. Instead I committed the rest of the evening to the Larks, regardless if I got anything or not. Fortunately just as the sun was setting I had some move in close and was able to get a few decent shots showing them on the snow with warm light. Sometimes just siting instead of running around impatiently can yield positive results.